YubNub is a (social) command line for the web and allows you to create your own commands. 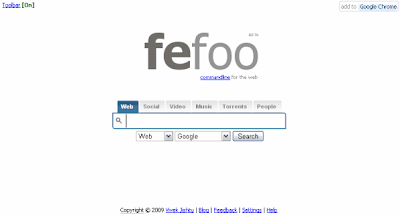 fefoo on the other hand converts the name of the categories and search engines to commands. 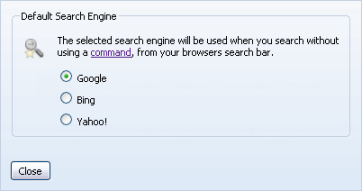 To use YubNub commands in fefoo use :yubnub [command] or in shorthand :yu [command]. 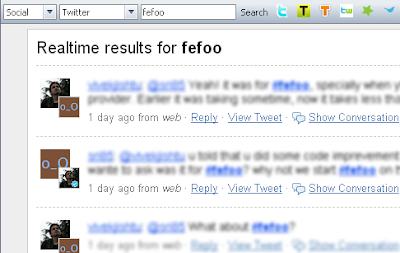 You can make your own commands on YubNub and use them in fefoo now. YubNub is a really cool application which I had seen 3 years back but forgotten about it completely. I saw it again today and added it to the tools section.